Replace that boring old mouse pad with one that reflects your passion for music. Our Got Music? 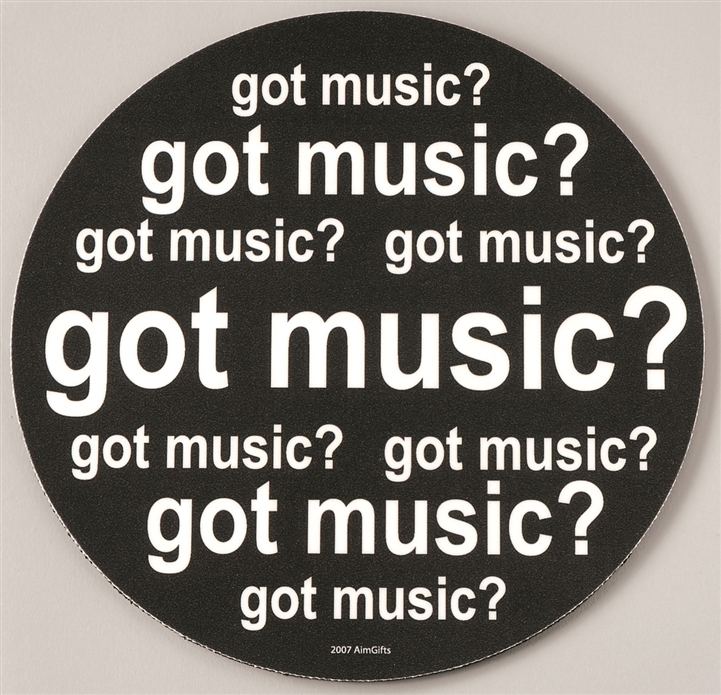 Mouse Pad is the perfect stocking stuffer for any music lover, teacher or student. Vinyl with non-slip neoprene back. 7 1/4" diameter.